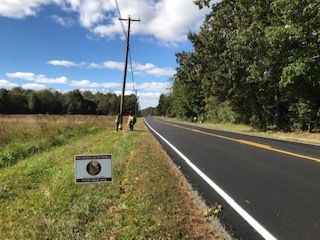 We are creating a Bobwhite Byway on the Covia Corp (formerly Unimin Corp) property which will act as a thoroughfare through which the birds can travel to increase the acreage expanse and decrease fragmentation of the habitat as well as enable them to escape predators with the support of an SJ Industries Grant. Thank you! We are considering several other offers to participate in environmental conservation and quail restoration efforts. We need all the help we can get, in any capacity. Please reach out to Val via our FB page, email, phone or text. Thank you for your support. 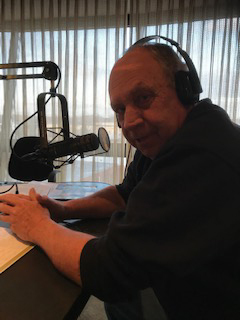 SJQP recently attended the retirement party for long time radio show host and founder of Sportsman Hotline, George Moore of WSNJ 99.9 FM and 1240 AM. Lin Waterman of Beaver Dam, and our own Joe Matter, SJQP Trustee, have taken over as cohosts of the show. 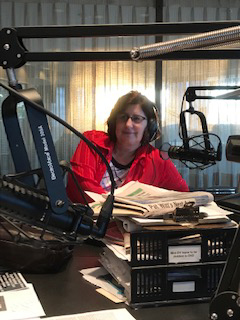 Best wishes to the new hosts and thank you to SNJ Today for your support in our endeavors. Another banner day for SJQP! 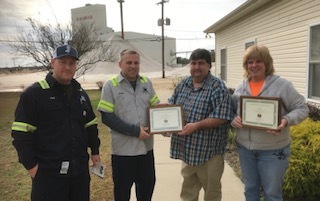 Wonderful meeting had by President Terry Hider and Justo Lucena of US Silica in Mauricetown, where they pledged their continued stewardship of the environment and support of SJQP habitat efforts. Thank you for everything! SJQP Trustees met with the new management team, Brian Lenhart and Paul Palumbi, as well as longtime supporter April Sooy, of Covia Corp, formerly Unimin Corp, to discuss the future efforts in our expansion of wildlife habitat at their Dividing Creek/Port Norris sites. Thank you for being stewards of the environment. We had our Biannual Trash Pickup in Commercial Twp, NJ on October 21st. When we pick up after those who don’t pick up after themselves, we help the environment and give back to society. Please don’t litter! 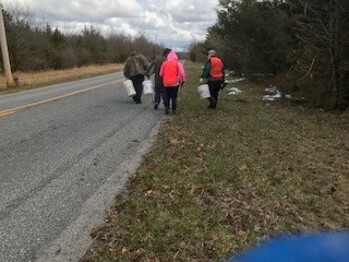 Spring and Fall trash pick-ups are another way SJQP does their part to help the environment and ensure the roadsides are pristine. 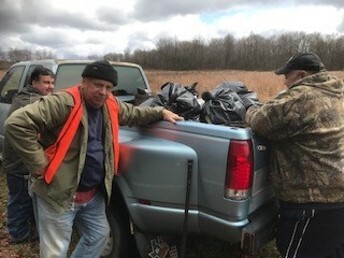 The first of our biannual trash pick-ups was in Commercial Twp. on 3/25. South Jersey Quail Project hit the ground running in 2017. Kick starting the New Year under the direction of newly appointed SJQP Chairman Terry Hider, the group complimented our implement arsenal with the addition of a brand new rototiller. This new equipment will enable us to provide favorable seed beds for wildflower and pollinator plantings. Birds, bees and butterflies are thrilled with this new purchase. A monumental day for SJQP, as Dr. Theron Terhune, Game Bird Program Director of Tall Timbers Research Station and Land Conservancy extended a warm welcome to President Terry Hider and his family last week. SJQP has been a longtime supporter, partner and follower of Tall Timbers research and practices. They are the foremost experts in fire dependent ecosystems and wildlife of which includes the Bobwhite Quail. They were given a tour of the grounds, including reclaimed forestry, controlled burn plots in various stages of regrowth, and pristine upland game habitat perfect for excellent quail propagation. Theron’s hospitality was second to none. Much invaluable knowledge was gained and will be shared with the membership, and will be directly applied within the project. From the bottom of our hearts, we can’t thank Theron enough for dedicating an entire day to our visit. We thank Tall Timbers for a wonderful day! They have some very special staff, who are conducting superior work! SJQP members conduct Roadside Trash Pickups each Spring and Fall SJQP. 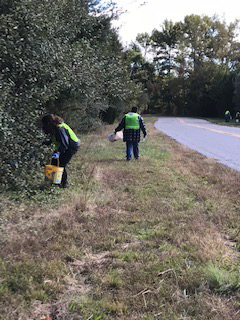 Members clean up several miles of roadway at two different SJQP habitat restoration projects in Cumberland County which greatly enhances SJQP’s work in the adjacent fields. Thank you to all members for making this a great success! SJQP members attended a Mine Safety and Health Classes this spring. These MSHA classes are required annually. Successful completion of the classes enables SJQP members to conduct project operations at local mining sites. 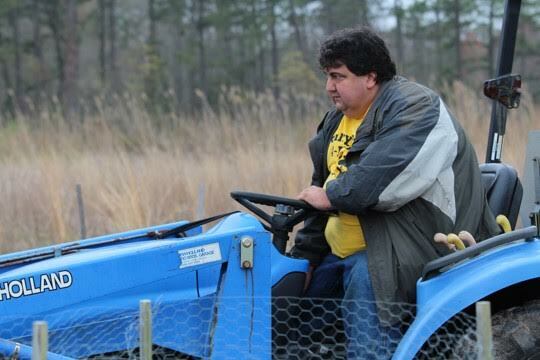 Under the direction of SJQP Board Member, Billy Cooper, our tractors are hard at work on projects sites this Spring. Discing, mowing and rototilling and seeding are the order of the day, in addition to routine habitat maintenance and disturbance. We are proud to announce the creation of more than 1500ft. of wildflower and pollinator plantings. Hats off to Unimin Corp for their fierce conservation ethic and generous support that make projects successful each year. Landowners in Ocean, Burlington, Camden, Gloucester, Salem, Cumberland and Atlantic Counties are eligible to apply.